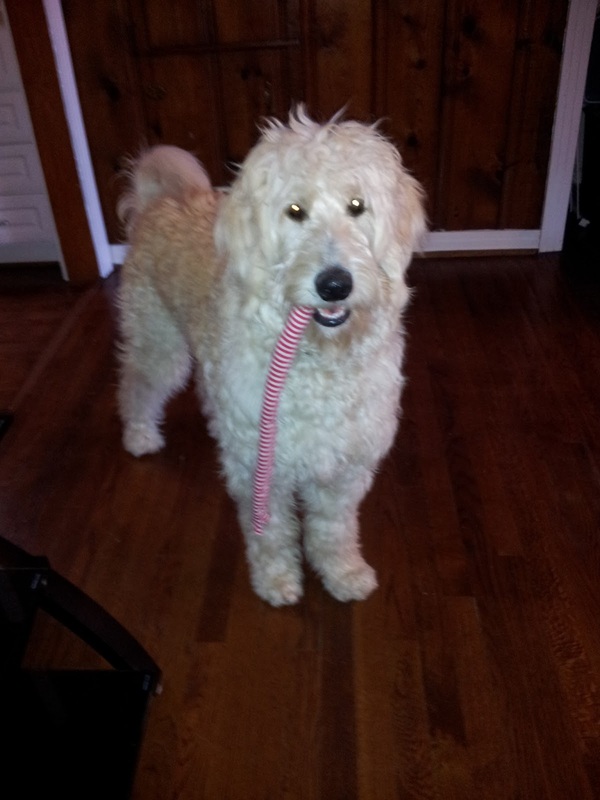 Goldilocks & Her Doodle: What Happens to a Toy Chewed Up? My students had some really good insight into the deeper meaning between each set of similes. They puzzled to figure out why each was a perfect example of a dream dying. 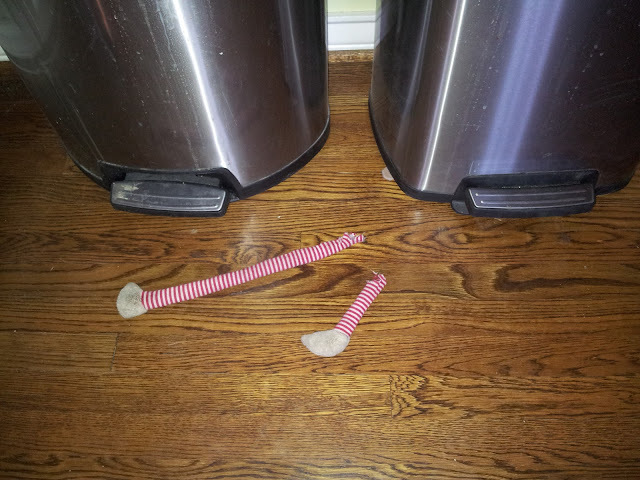 So, the other day when I saw these two legs ominously lying beside our trash and recycling cans, a similar thought sprang to mind of, "What happens to a toy chewed up? I specifically remember many good times with this once special and then wholly intact toy. Crazy monkey on Milt's back! I suppose it was really only a matter of time until Milton separated those crazy legs from Crazy Legs Monkey. 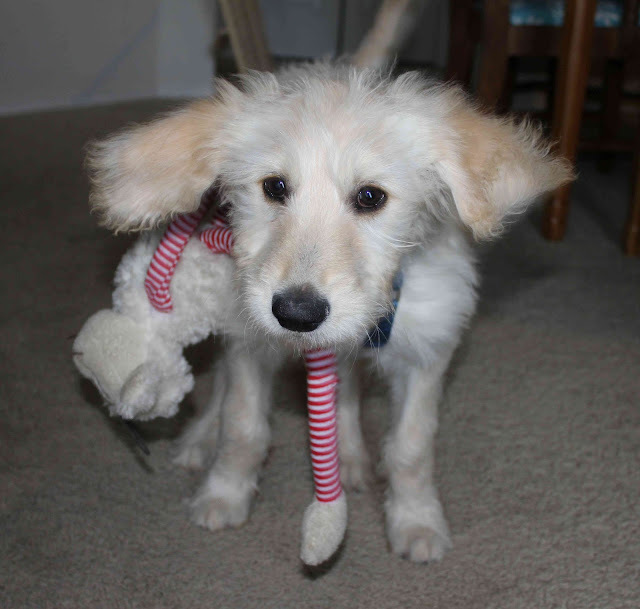 So, what really happens to a toy chewed up? It hangs around until Milton starts swallowing bits and pieces of it. Then it hits the trashcan for a proper burial at the dump. Sad, I know. If only Milt would learn to be more responsible with his toys! Goob! So creative. I LOVE your poem! Rhyming is difficult for me, but you just took it and went! Bravo! !